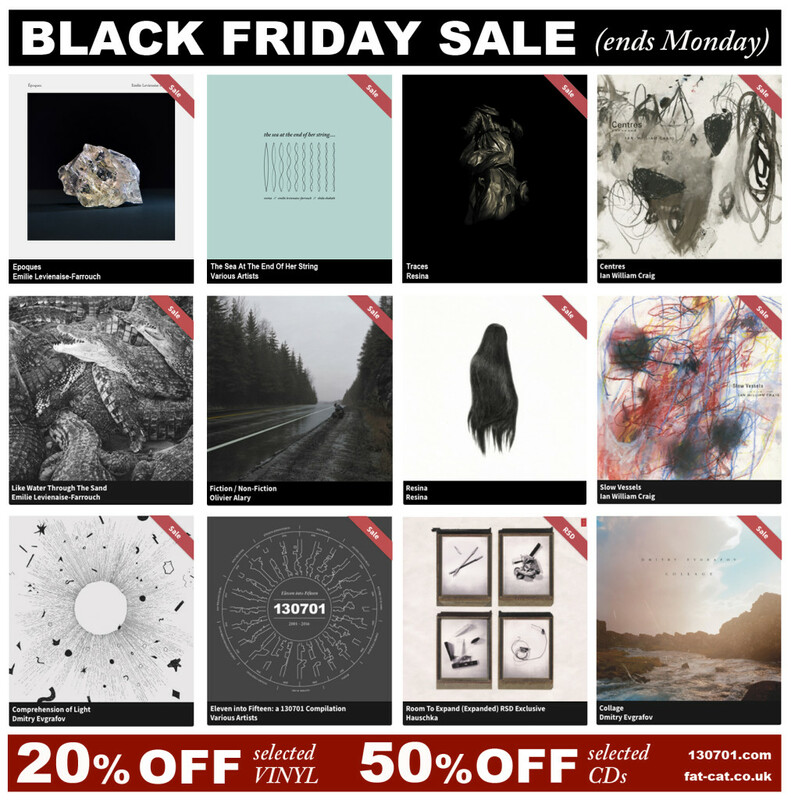 FatCat and 130701 are offering a 20% discount on select back catalogue vinyl + 50% off CDs for Black Friday via our webstore. The offer is valid over the weekend up until midnight on Monday 26th November and sees LPs selling as low as £11.99 and some CDs down to just £3.50. It includes a number of great 130701 releases including the below titles (while stock lasts). Head here to check out the sale.